One and a half years after Russia and Turkey signed a deal to build the strategic "Turkish Stream" gas pipeline in October 2016, putting an end to a highly contentious period in Russia-Turkish relation which in late 2015 hit rock bottom after the NATO-member state shot down a Russian jet over Syria, on Saturday Russian state energy giant Gazprom and the Turkish government reached a deal on the construction of the land-based part of the Turkish Stream branch that will bring Russian gas to European consumers. According to Reuters, the two counterparts signed a protocol that would allow the construction, which was stalled by a legal rift over gas prices, to go forward. Gazprom and Turkey’s state-owned BOTAS agreed on the terms and conditions of the project, Gazprom said in a statement, adding that the deal “allows to move to practical steps for the implementation of the project.” The actual construction would be carried out by a joint venture called TurkAkim Gaz Tasima which will be owned by Gazprom and BOTAS in equal shares, Gazprom said. Earlier on Saturday, Turkish president Erdogan said that Gazprom and BOTAS resolved a long-running legal dispute over import prices in 2015-2016, and as a result Turkey would gain $1 billion as part of the gas-price settlement reached with Gazprom, in which Turkey and the Russian natgas giant agreed on a 10.25% price discount for gas supplied by Russia in 2015 and 2016. "We agreed on a 10.25% reduction in the price of natural gas in 2015-2016,” Erdogan announced while speaking at a rally on Saturday. “We got our discount. We get about $ 1 billion worth of our rights before the election,” the Turkish President said, as cited by Anadolu Agency. BOTAS had refused to approve the building of the land-based part of the pipeline until the import price issue was resolved. 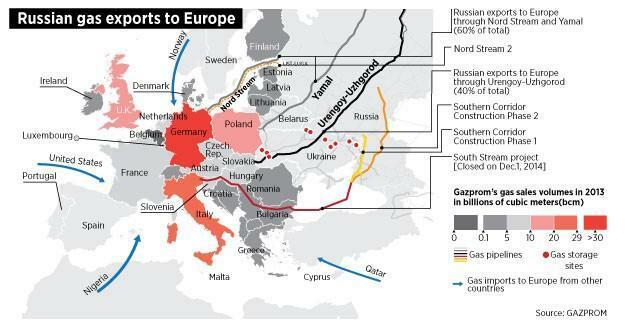 Until now, it only permitted Gazprom to construct the undersea part of the line. The construction is currently underway. The greenlighting of the Turkish Stream project is sure to infuriate the US which previously announced it was considering sanctions of European firms that would participate in the Nothern Stream Russian gas pipeline. President Trump went as far as to threaten Angela Merkel two weeks ago, telling her to either drop the Russian gas pipeline or the trade war with the US was set to begin. How Europe reacts to US threats involving the Northern Stream and, soon, the Turkish Stream, will determine whether Europe will once again find itself a subservient vassal state to US military and energy lobbying powers, or if Brussels will side with Putin in this growing conflict, resulting in an unprecedented breach within the so-called "democratic west."